This post talks about the Front end navigations related to Item Cross References. 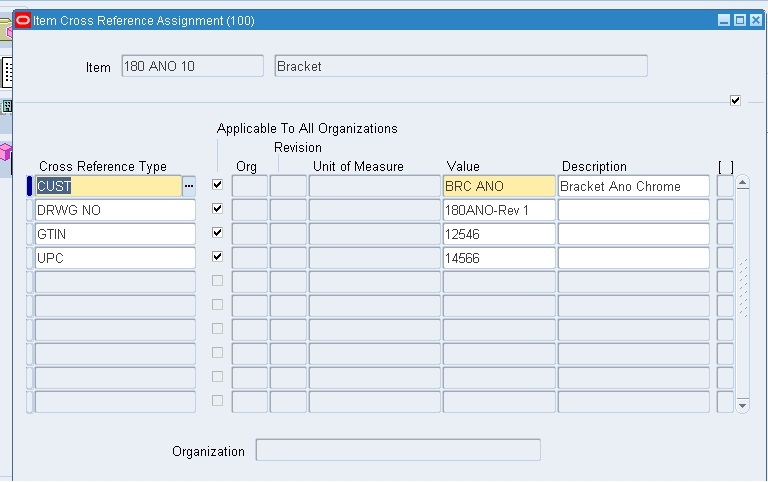 How to create a cross reference type? 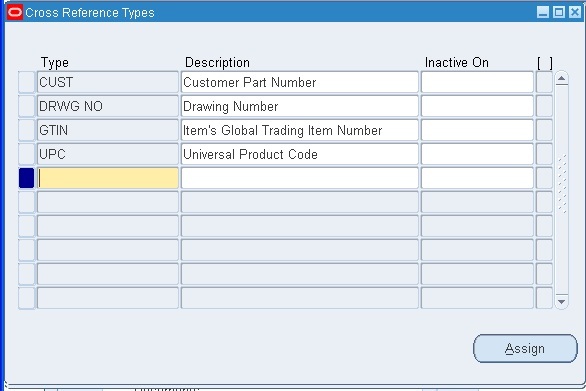 Which form is used to assign the Item cross reference type and Items? 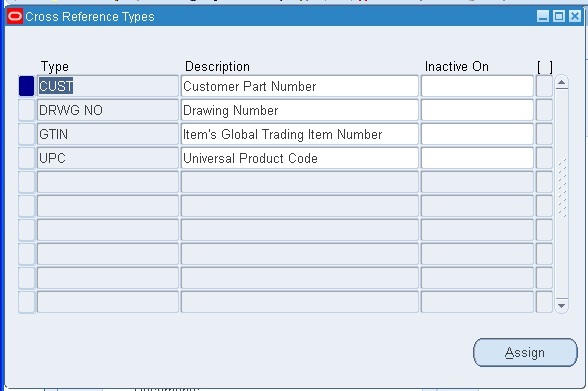 How to define cross reference name for an item? Is there a standard report to show the list of cross references? 1. 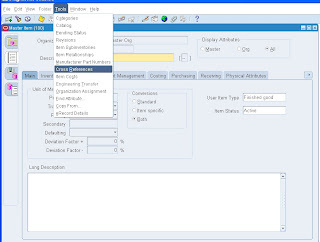 How to create a cross reference type? 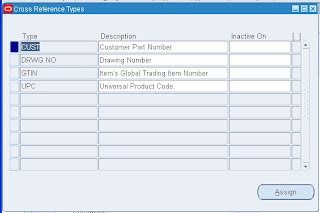 Cross Reference : This form can be used to capture the reference information pertaining to an item, like drawing number, vendor part number, etc. 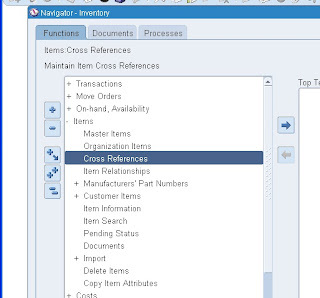 In this form, user can define the list of cross references applicable for the Items. This list will be available at the Item master. 2. 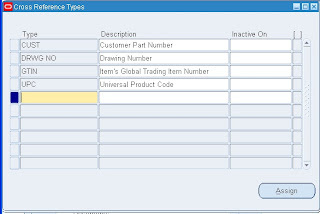 Which form is used to assign the Item cross reference type and Items? 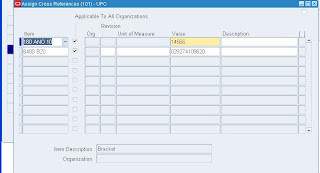 New Cross reference label & description can be added in this form. 3. 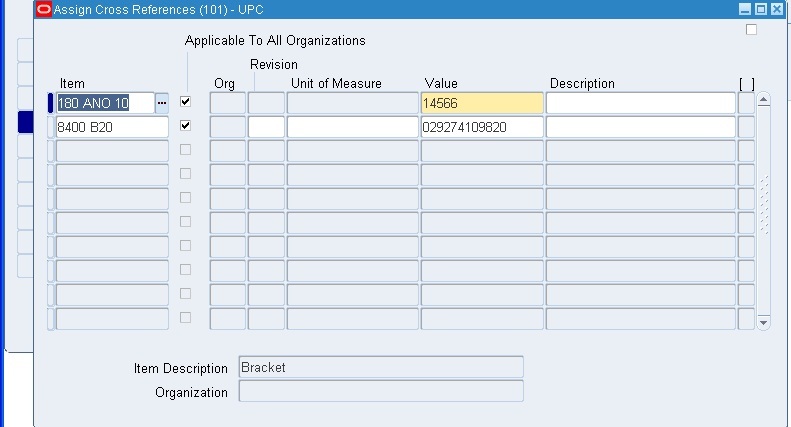 How to define cross reference name for an item? 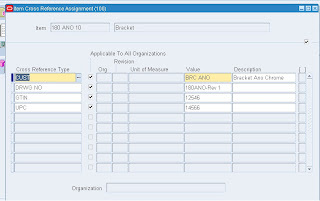 After defining a cross reference, the value can be assigned to items using ASSIGN button. 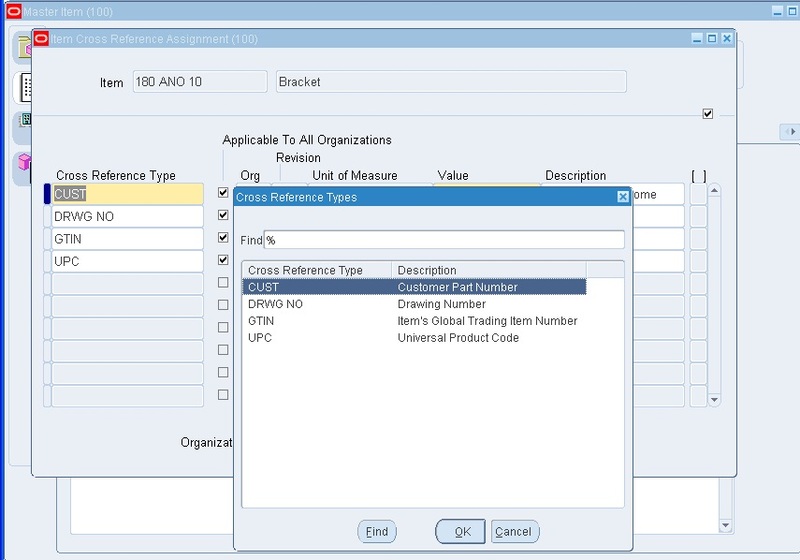 Select the item from the LOV and applicable value for the cross reference can be defined at VALUE column. 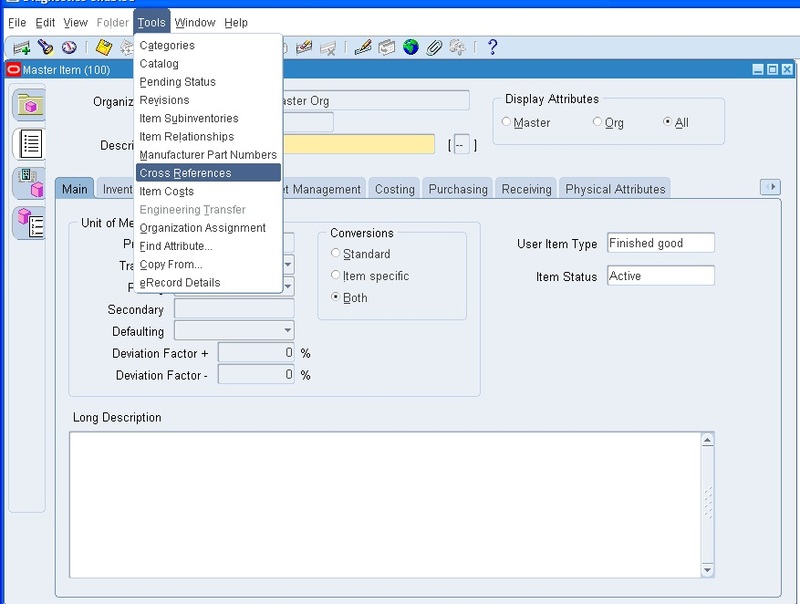 Org assigning feature also avialble in this form. 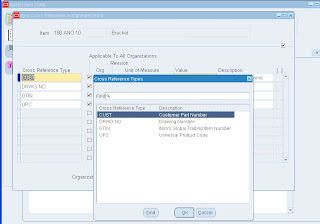 After defining the Cross reference labels at the Cross Reference form, values for the labels can be assigned from Item Master form as well. 4. Is there a standard report to show the list of cross references? 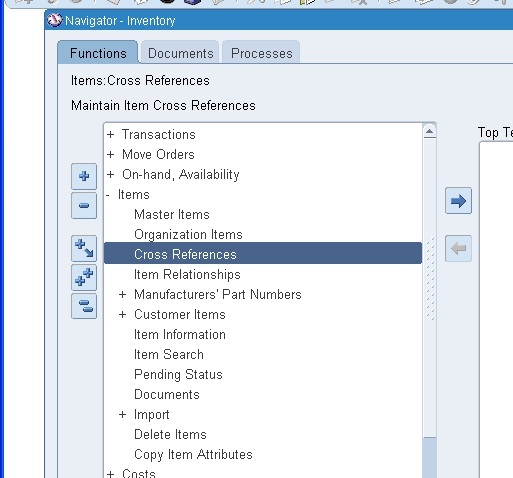 There is report at Inventory to view the Cross Reference Listing by items.